Music festivals can be treacherous waters, with so many people all converging on one spot. It’s like a wild noisy party in someone’s giant backyard. We don’t envy the people that have to do the cleaning up at the end of the day. 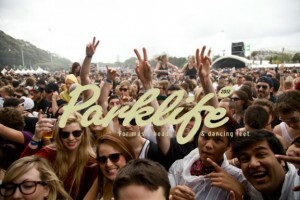 Officially signalling the start of the Aussie festival season Parklife 2012 is on the horizon and will be taking over Brisbane (Sep. 29), Sydney (Sep. 30), Perth (Oct. 1), Melbourne (Oct. 6) and Adelaide (Oct. 7). With one of the biggest line-ups so far the festival will feature Nero, Passion Pit, Plan B, Justice (DJ set), Chiddy Bang, DJ Fresh, Chairlift, Wiley, Hermitude, Rizzle Kicks and many more. This year will feature five stages, including the Sahara stage headlined by The Presets, the Atoll stage headlined by Robyn and the Kakadu stage headlined by Rusko, plus two special stages where local DJs in each city will be showcasing their skills. For the benefit of you and those around you we thought we would give you a little survival kit, if you will, for Parklife 2012. Included are set times and maps for each city. Good luck!